Valeria`s Blog - Halo Hair Extensions 20% off! 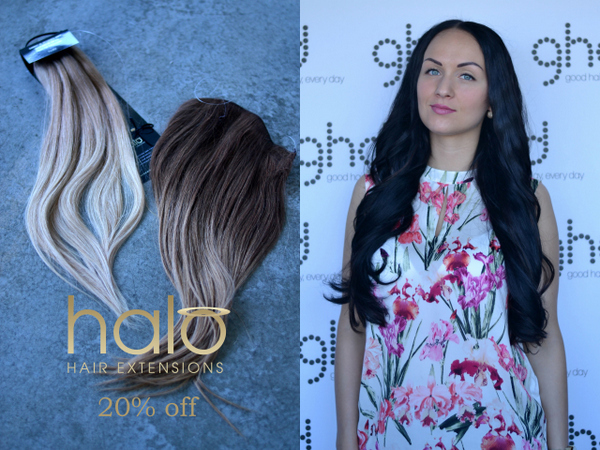 Halo Hair Extensions 20% off! В Decoris Showroom вы найдете большое разнообразие Halo Hair Extensions - разные цвета, обмре и смешанные тона, длина до 60 см. При покупке Halo Hair Extensions с сайта decoris.ee или в Decoris Showroom воспользуйтесь кодом "valeria20" (обязательно скажите, что в курсе про код!). Предложение действительно до 30 сентября! My dear followers! I have a great news for you :) Remember amazing Halo Hair Extensions (I have already wrote about them here) ? Now you can get yours 20% off! It is so easy to use these extensions, they look very natural (100% Indian Remy hair), it takes just some minutes to aply them, then you can curl or straighten your (and not only :) hair! Using Halo Hair Extensions you can make classy and voluminous hairdo (curls, low buns, plaits etc) by yourself and look gorgeous at special events (birthdays, weddinds and other parties ;). Hurry up to get your own Halo Hair Extensions for the 1st of September! At Decoris Showroom you will find lots of Halo Hair extensions - differect colors, ombre and mixed tones, different length up to 60 cm. Find yours! Use discount code "valeria20" when shopping on decoris.ee or at Decoris Showroom (for sure say about "valeria20" discount code!). This offer is valid until 30 September.